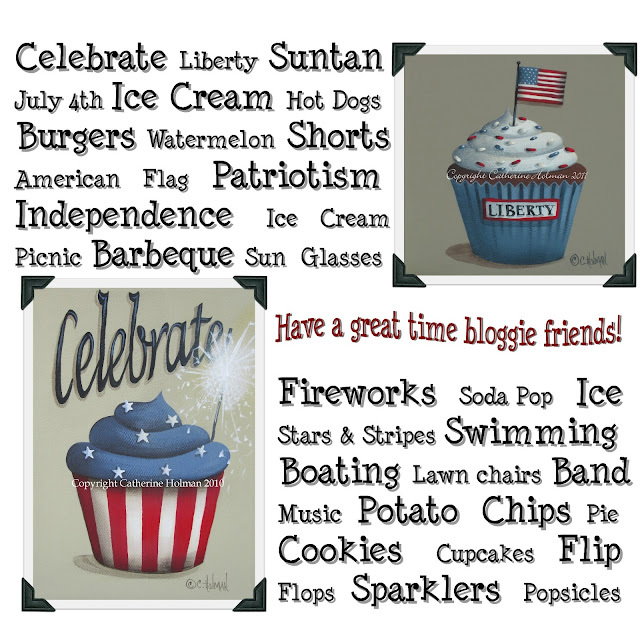 Catherine Holman Folk Art: Have a Fabulous 4th! Happy 4th! Have a wonderful holiday. What a fun collage! I love your cupcakes! Happy fourth, my friend!